One of the most notable archeological sites in Greece. During the 10th century BC, Ancient Olympia was the place of worship of Zeus, while the Olympic Games started taking place there every 4 years in 776 BC, which were banned in 394 AC by the Emperor Theodosius I as a pagan event. 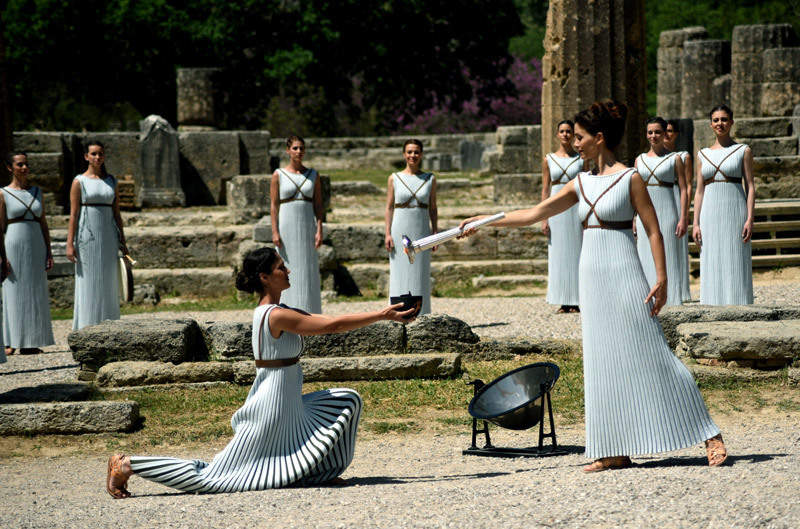 However, the institution has been revived and, therefore, the ignition of the Olympic flame takes place here, and then travels to each host country. The perambulation of this wondrous archeological site includes not only the facilities where the games took place such as the stadium, the fighting arena, the race track etc., but also the temple dedicated to Hera, Zeus’s temple where the winners were crowned and the workshop of Fidias, who created one of the seven wonders of the known world back then, the Chryselephantine statue of Zeus.